Adan graduated from Harvard College in 2013 with a degree in Government and a language citation in Portuguese. After college, he taught American History to eighth graders in Lincoln Heights and conducted research at the crossroads of education and behavioral economics with the Student Social Support R&D. He currently lives in Boston and works on Legendary Entertainment's Applied Analytics team as a Primary Research Analyst. During college he served as Co-Chair of Concilio Latino, President of the Harvard College Democrats, and Political Director for Fuerza Latina. He currently works on the boards of the Young Eisner Scholars and the Lennox Educational Advancement Foundation. Glenda is a first-generation college student and naturalized citizen. She was born in Guatemala, moved to the US at age 10, and lived in Los Angeles until she left for Harvard where she studied Social Studies and French, and dedicated extracurricular activities almost exclusively to working on Latin@ issues. She was vice-president of Raza, an editor for La Vida at Harvard, a member of Candela Hip Hop, and worked for the Undergraduate Minority Recruitment Program as one of the Latin@ co-chairs in senior year. After college she worked in human rights for 2.5 years, focusing on political and civil rights advocacy in Latin America, and then went off to law school at Yale. There she focused on immigrant rights and international human rights. 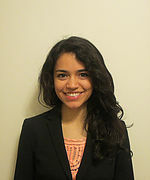 She has been working at the Northwest Immigrant Rights Project in Seattle, WA since graduating from law school in 2013; her practice focuses on civil rights litigation and direct representation of immigrants seeking legal status in the U.S. She is very passionate about working for and with the Latin@ community at Harvard. She has striven to engage with younger generations of Harvard Latin@s through the annual holiday gatherings in Southern California and by interviewing high school seniors for the admissions office. She feels that it is important to have an undergrad community that feels supported by our alumni base. "Because I loved my Harvard Latin@ community so much in college, I think it is key to reconnect with that community through the alumni association; I think it's a shame that we often lose touch with each other as a community once we graduate." She plans to work to build a very strong alumni network--one that provides valuable resources (social and professional) to undergrads and alums alike. Diana Giron earned a Master of Divinity from Harvard Divinity School and a Bachelor of Arts in History with a minor in Chicana/o Latina/o Studies from Pomona College. She is currently the Assistant Director of Diversity Education and Support for the Office for Equity, Diversity, and Inclusion at Harvard College. While in graduate school, she was a Graduate Fellow in the College’s Office for Equity, Diversity, and Inclusion and the Summer Youth Leadership Program Coordinator for the Center to Support Immigrant Organizing in Boston. Upon graduating from her masters, she felt called to go into higher education to serve historically marginalized students including first-generation, low-income, Latinx, and undocumented students. As an undergraduate, Diana co-founded IDEAS at the Claremont Colleges—an undocumented student and ally support and activist organization. She was also a student coordinator for the Draper Center for Community Partnerships, the vihuelista for the Mariachi Serrano de Claremont, and a leader in the Latino Christian Fellowship. Diana was born in Mexico and raised in the Greater Los Angeles area. 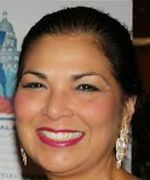 She credits all her accomplishments and draws inspiration from the courage and strength of her resourceful single-mother, her determined older brother, her resilient immigrant people, and her faithful spiritual community. She is passionate about student mentorship, educational equity, community engagement, diversity and inclusion, leadership development, theologies of liberation, and immigrant-justice work. 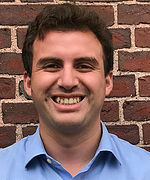 I’m Joshua N. López (HGSE’ 15) and I look forward to being part of a team that will grow HLAA into an outstanding institution that serves the needs of our community across the country. As an international consultant and former executive director, I have ample experience in strategy development, project management, and fundraising. At Harvard I was part of an executive team that brought foreign ministers, business leaders and specialists to Harvard to participate in our first Latin American Education Conference. As the son of refugees from El Salvador who was raised in the US, I have always used my talents to uplift the most marginalized, both domestically and abroad, and I hope to continue doing so through HLAA. My name is Albert Maldonado and I’m a SoCal attorney. I grew up in Rancho Cucamonga, CA and my educational path has taken me across the country. I went to college in SoCal at Pitzer College, graduate school at Harvard Divinity School (Class of 2014), and law school in the Midwest at Northwestern. Now, I practice municipal law at Best Best & Krieger LLP in Ontario, CA. I will passionately advocate for Latina/o current and future alumni by increasing our population, visibility, and power at, and outside, Harvard. I plan to build and grow our comunidad both online and in person. I have much experience creating communities, growing membership, and organizing national conferences from my time as Co-President of Nuestra Voz at Harvard Divinity School and Public Relations Director for the National Latina/o Law Students Association. I am a board member for the Ontario-Montclair Schools Foundation. I aim to make higher education at Harvard more accessible and to help connect fellow alumni. Dedication to mentorship and fostering an active, robust network between current students and alumni are my primary motivations to serve on the HLAA board. I’m Dr. Angela Orozco and am beginning my career as a primary care physician/medical educator. As a first-generation college graduate (Harvard College c/o 2009) and currently as a Deputy Director of Pipeline Initiatives at Johns Hopkins Centro Sol, I am excited for the potential intersection to mentor and promote diversity among incoming students as well as further build up our current graduates’ access to our amazing alumni! My name is Jonathan M. Padilla. I’m a 2012 Winthrop House graduate of Harvard College. I’ve spent time on both Capitol Hill and in the Obama White House where I was an advocate for Latino empowerment. I’ve worked with the Hispanic Heritage Foundation for the last decade to equip young Latinos with the skills to be change makers. I’m a 2018 Schwarzman Scholar and am a partner in a blockchain advisory and investment fund. I’m now working to get Latinos into this emerging space and entrepreneurship in general. Debra Sanchez Reed has worked as an independent community economic development finance consultant to Community Development Finance Institutions (CDFIs) and other nonprofit affordable housing and small business loan funds, national nonprofit capacity building providers, and foundations for over 30 years. She is a nationally recognized expert and trainer on nonprofit financial management, fundraising and federal award compliance. Debra is a Managing Partner of Sage Community Capital, a firm specializing in bringing New Market Tax Credit opportunities to nonprofits. Debra is a graduate of Stanford University (‘78) and the Harvard Graduate School of Business (’82) and is a Certified Nonprofit Accounting Professional. Debra is a member of the Board of Directors of the Harvard Club of San Antonio, a member of the Harvard Business School Club of San Antonio, a member of the Harvard Business School Latino Alumni Association, and mother of Harvard undergraduate student, Mati Reed. 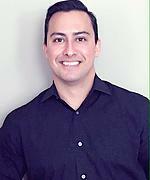 Edward Rocha graduated from Harvard College in 2006. He is an entrepreneur and language specialist. Upon graduation from Harvard, Edward worked in the alternative investments industry as a marketing and business development professional at various hedge funds and private equity groups. In 2008, he combined his passion for business and passion for languages, and founded RoLa Languages, an international language program offering language classes to adults and children around the world. RoLa currently has offices located in Cambridge and Boston, as well as programs in France and Spain. As an undergraduate, Edward served on the board of Harvard RAZA, was Co-Chair of Concilio Latino, and served as President of the Harvard Association Cultivating Inter-American Democracy. Immediately after graduation, he saw a need for more alumni involvement in student life. As such, he decided to reach out directly to student groups to offer them a space away from home. In 2006, Edward hosted his first Thansksgiving Pachanga, aimed at providing students a place to go for the Thanksgiving holiday. Over the last 8 years, more than 300 students have attended these two-day events hosted at Edward’s home. Three years ago, the board of one of the student groups asked if he would be willing to host a Spring Break version. Both events help students cope with being away from their homes and their families during the holidays. Edward is a member of the Boston Chapter of the Harvard Alumni Entrepreneurs SIG, a member of the Harvard College Fund 2006 Participation Committee, as well as a founding member of the Harvard Latino Alumni Alliance. 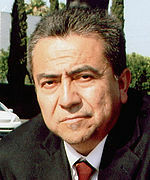 Dr. Gus Frias grew up in the violent barrios of East Los Angeles. He attended local schools and graduated as Student Body President of Garfield High School. Subsequently, he earned advanced degrees from the Harvard Graduate School of Education and the University of Southern California. His employment experiences include working in management positions for the Los Angeles County Office of Education, the Los Angeles Police Department, and the United States Information Agency. He also served as an appointed member of numerous advisory committees on school safety, gang violence reduction, and hate crime prevention for local, state and federal education and law enforcement agencies. Currently, he serves as Education Sector Coordinator for the FBI's InfraGard Members' Alliance in Los Angeles. Dr. Frias is also the author of Barrio Warriors (1982), Leaders and Achievers (2002), and Leadership Against School Violence (2012). Dr. Frias' service to Harvard includes over ten years as a member of the board of directors of the Harvard Club of Southern California. Along with other Harvard Latino alumni, in the 1990s he also assisted to create the Harvard Latino Alumni National Network, and was a member of the founding board of directors of the Harvard Latino Alumni Alliance. Guillermo Samuel Hamlin is currently the Volunteer & Outreach Coordinator at Malden Access Television and Political Strategist. 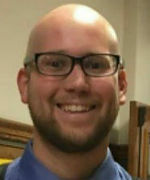 He was previously the Program Assistant for Community Schools for the city of Chelsea, MA. Guillermo graduated from Harvard Extension School with a degree in Philosophy and secondary concentration in Anthropology. As an undergraduate, he was an associate member of the Harvard College Law Society. He serves on the board of the Community Action Agency of Somerville and is an active member of the Ward 1 Democratic City Committee for the city of Somerville, MA where he currently resides.